Tickets for Schonell Theatre concerts may be purchased by calling Maree Williamson on (07) 3378 2384. Ample free parking available next to the Schonell Theatre. Complimentary programs and post-concert refreshments are also provided! The Brisbane City Pops Orchestra is proud to present a very special concert for its final programme of 2018. Remember and Commemorate will be held on Remembrance Day as well as on the 100th anniversary of the Armistice which ended World War I. It is a programme of music composed for and/or associated with wartime and will take you on a special journey down memory lane. We will present the famous and stirring Dam Busters, Knightsbridge March and the Light Cavalry Overture. You can sing along to our two selections – Down Memory Lane and Thanks for the Memory- which are full of very popular and well-known melodies from the war era. You will also be entertained with the beautiful Forgotten Dreams, Yesterday and a wonderful Satchmo selection! We are thrilled to have well-known tenor Lindsay Gaffney as a guest artist, presenting You’ll Never Walk Alone, The Impossible Dream and more. We are also delighted to have the amazing cornet player, Paula Russell, playing the beautiful Meditation. Please join us for this very special concert as we Remember and Commemorate an important time in history through some very beautiful and poignant music. 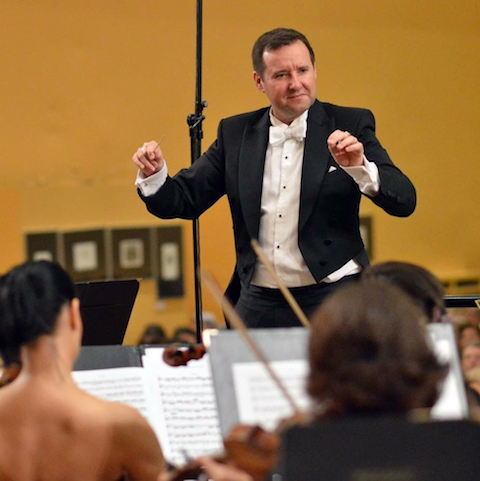 Over the last three decades Adrian has conducted numerous orchestras & ensembles, nationally & overseas, including the Janacek Philharmonic, the Dohnanyi Symphony, & the Ady Ensemble: a twenty-three piece string orchestra which he founded in 2011, that performs standard repertoire & with newly written commissions & arrangements for the ensemble. In 2016 he studied conducting with Gabor Hollerung in Budapest, Hungary, & in 2017 he travelled to the Czech Republic to study with renowned Finnish conducting pedagogue, Jorma Panula. Lindsay Gaffney had a natural ear for music and started to sing at the young age of nine. He joined a choir in his local church and sang all the high descant parts until his voice changed. He then went on to front several bands to hone his skills and gain more experience. Along with his musical activities, he began training as an electrician. Through the recommendation of a colleague, he auditioned for the Queensland Conservatorium, one of the most comprehensive music schools in Australia. He was accepted and his musical career took on a new course. As he became totally immersed in theatre and music full time, his trade as an electrician found its place on the sidelines. He soon found his way singing in Kurt Weill’s ‘Street Scene’, Bernstein’s ‘West Side Story’, concerts for visiting politicians and government dignitaries, as well as fund raising for numerous charities. He entertained during Brisbane’s Expo 88 and was invited to sing in the farewell performances of the great Australian Soprano, Dame Joan Sutherland with the National Company. These special performances were filmed and released to DVD. Lindsay was invited to join the Young Artist Programme and went on to sing in ‘Fiddler on the Roof’, ‘The Mikado’ and ‘Midsummer Night’s Dream’. He also performed many roles in various operas and musical theatre, including ‘Romeo and Juliet’, ‘Salome’ and ‘Candide’. Shortly after, he performed as lead tenor in the production of ‘La Boheme’; touring throughout Australia and playing to audiences of more than 90,000. The tour was captured on film and culminated in the ABC TV documentary entitled ‘Outback Opera’. His accolades included reviews declaring “Lindsay’s singing is equal to many a more celebrated tenor...there are distinct echoes in his sweet tone of a young Jussi Bjorling”. In 2009/2010 Lindsay was asked to sing in numerous concerts and ceremonies for the Canonization of Australia’s first Saint, Mary Mackillop. 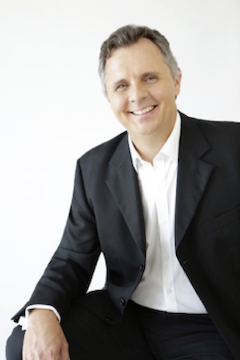 Most recently he was able to record his own version of the National Anthem...’Advance Australia Fair’, which a well known ABC Brisbane broadcaster, Spencer Howson, used each fortnight to open his breakfast program up till his departure in 2017. In 2015 Lindsay recorded a CD/EP called Tenor Serenade, which was well received in Brisbane and was afforded good airplay on ABC radio. British by birth, Paula Russell has performed internationally as a cornet soloist, winning numerous accolades in both Europe and Australasia. Before immigrating to Australia, Paula was recipient of the prestigious ‘Harry Mortimer Performance Prize’ from Salford University and the coveted ‘British Open Cornet Championships’. She was also leader of the National Youth Brass Band of Great Britain and was a member of the legendary Yorkshire Building Society Brass Band. Since moving to Australia, Paula has held the Principal Cornet chair of both the Brisbane Excelsior Brass Band and National Australia Brass. 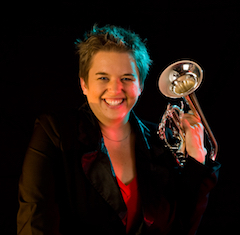 She is a former Cornet champion of Australia, and in 2009 became both Australian & New Zealand Cornet champion, and the New Zealand solo champion of champions. Other awards include the Ern Keller International Soloist of the year, the ‘Barry Tuckwell Prize’ at the Melbourne International Festival of Brass and many more.